Medical marijuana is a rising prospect in California and is becoming a well known industry in American Culture. I was watching a special on t.v about medical marijuana and when they were talking about all the different strands i thought to myself, why not have a band aid strand. This idea could change the way people view the use of medical marijuana. 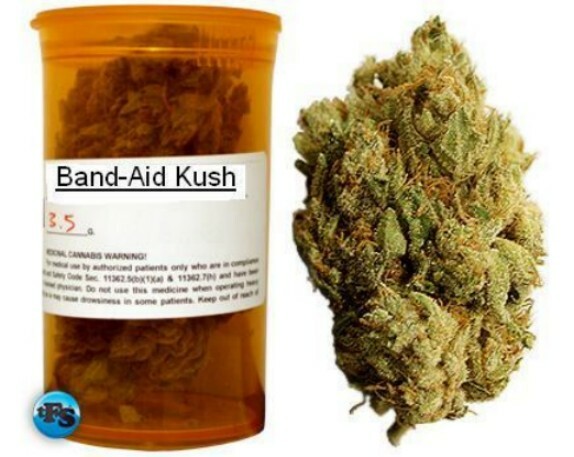 if a respected and trusted brand like band aid were to sponsor medical marijuana, i think more people would become interested and. It would have an official label like the one above on the prescription bottle and the brand could place their own warning label. I would be curious to see how many other states would look into into legalizing the industry, especially if a successful brand like band aid invested in it.